FROM meeting residents by day to patrolling Northbridge crowds by night – the life of a police horse has it all. Lieutenant Dan, Blue and Mance are among 19 horses in the Mounted Police section at the Maylands Police Complex. Police horses provide officers a 360 degree view from a greater height than on foot and the ability to move through large crowds. Common breeds include Clydesdale and Percheron crosses, both of which can withstand the rigours of police work and long patrol hours. 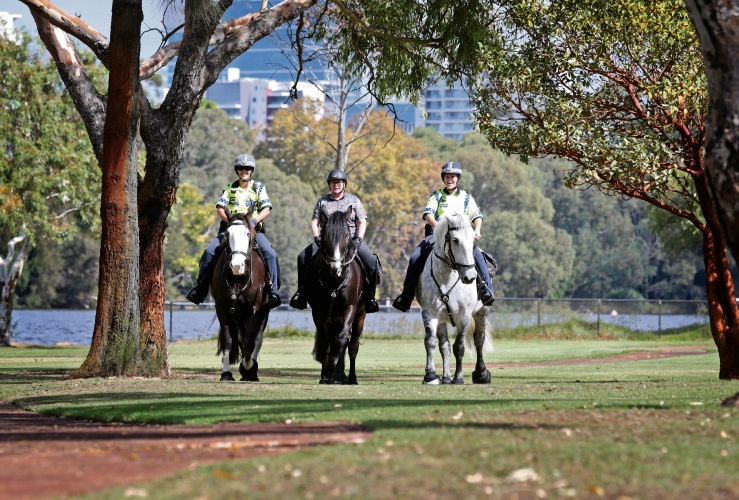 Mounted Police Senior Constable Kristy Stephen said a standard day shift started at 7am where officers would kit the horses and themselves up for patrol. “We will be designated a certain patrol area to go to which can be any suburb and from there, we will deploy our vehicles and horse fleets,” she said. A typical night shift involved the horses being deployed to out-of-control gatherings or parties to assist with crowd management. “We deploy to the entertainment areas in Northbridge where we target anti-social behaviour,” Snr Const Stephen said. When the horses need a break, they visit the section’s 40-acre farm in Swan Valley. 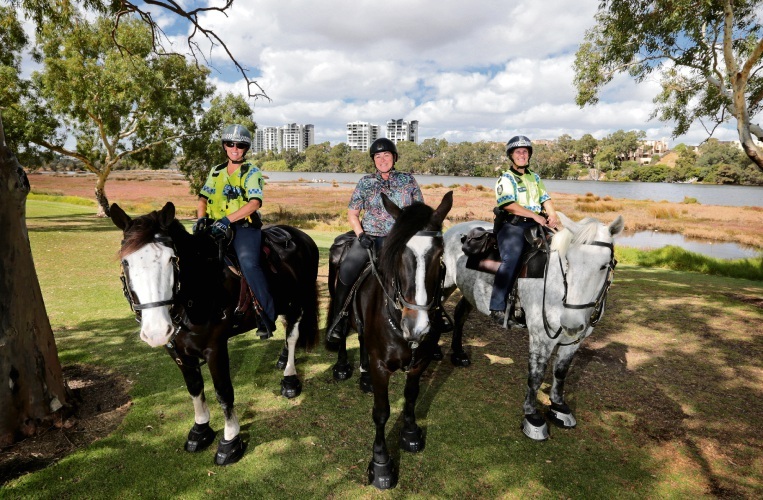 Maylands MLA Lisa Baker, who went on patrol with the mounted police yesterday, said she wanted to see more police horses and dogs on patrol. “The mere presence of these guys brings the temperature down in environments that are prone to anti-social behaviour,” she said.